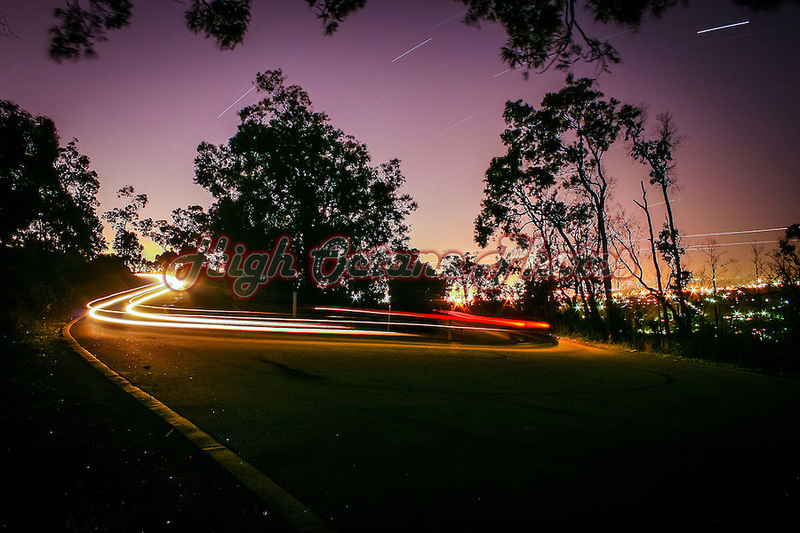 Back in 2008, I took my camera out to the side of the Zig Zag Scenic Drive in Kalamunda, set it up on a tripod with a very long exposure, and set off in my JZA70 Supra. I left the shutter open for over 18 minutes while I drove around the block and back through the shot to get the light trails all the way through. Our last day here in Bali. I think I sweated up the last of whatever has been giving me grief overnight, waking up dripping wet with sweat a couple of times during the night. I ended up using the room towels as sheets to get back to sleep, but in the morning I woke up feeling 100% better. I was even able to have bacon and eggs on toast for breakfast today. We kept walking south to the roundabout at the intersection with Jl. Danau Poso in South Sanur. The walk takes you through the main restaurant and shopping strip in Sanur, past Hardy's, past the local village lands and the old Hyatt Resort, one of the original hotels in Sanur, but now undergoing major renovations, something has has been going on for a couple of years, and looks to have a few more to go. Further south you come upon another shopping and restaurant strip, which includes one of the more well known restaurants in Sanur, Massimo's, said to be one of the best Italian restaurants on the island. We stopped in here to grab some gelato for the walk back. I was blown away by the lemon sorbet, and also rather impressed by the strawberry sorbet and mango frozen yoghurt. 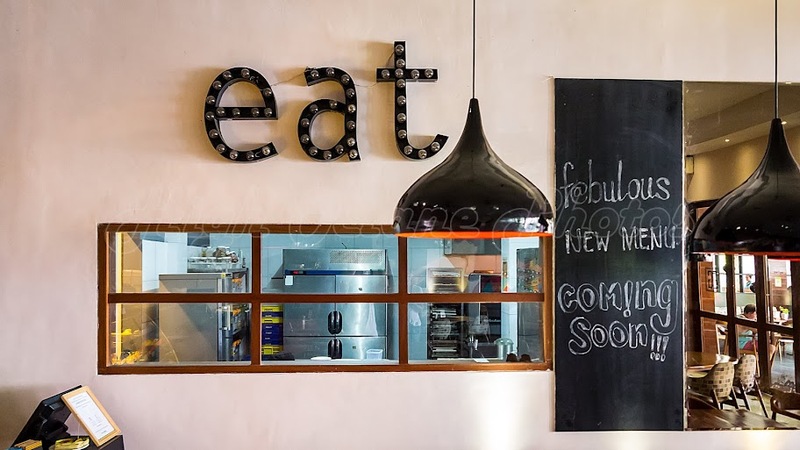 We ate our treats from Massimo's on the walk north, and stopped in at Grocer & Grind, the new Sanur location we'd read about while at their Seminyak location. This time we both ordered the chicken Caesar salad and a smoothie to wash it down. By now we were running a little short on time, so hightailed it back to the hotel to pack our bags. Lori had mostly finished packing hers, but I had yet to start. We gave the remaining 1/3 of a bottle of the Gilbey's Gin I'd picked up at Hardy's shortly after we arrived in Sanur, and the remaining cans of tonic water to the first hotel guest to walk past while we were packing. 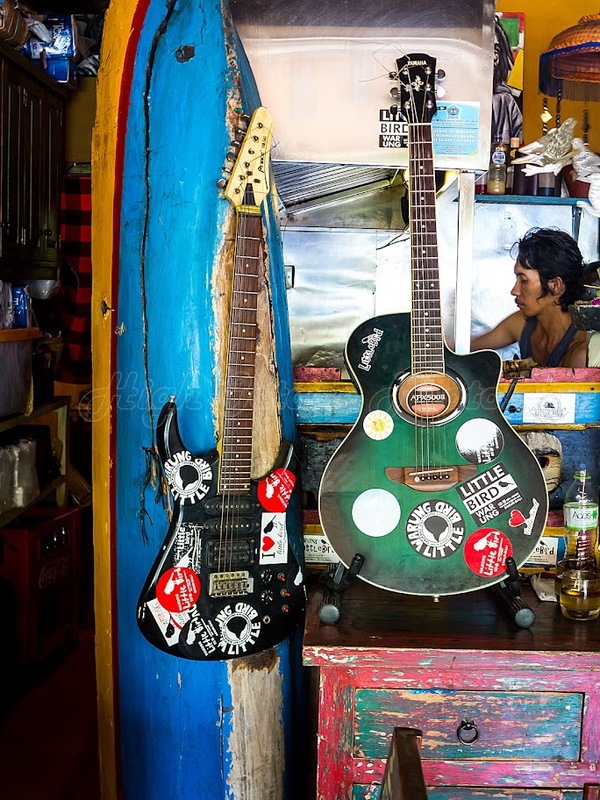 I never did find a shop in Bali that sold anything bigger than a 300mL can of tonic water. Lori had arranged a pre-arranged a driver to pick us up at the hotel and take us to the airport for 150k rp, leaving at 4pm, and it was now about quarter to 4, so we locked up our bags and headed out to reception, where we paid our bar tab, said goodbye to the wonderful staff here, and checked out. We hopped in the car and got on our way, but before long we were making a stop of the service station I'd had to make an emergency visit to the other day. Back out on the bypass and it wasn't long before we hit some heavy traffic, but thankfully, we made it to the new toll road without too much trouble. The toll road takes you from the bypass, almost directly to the airport, and for 11k rp, it shaves about half an hour off the trip on an average day, probably at least an hour on todays journey. At the airport we made our way through the first security check, check in, another security check in case you've acquired anything you shouldn't have since the last security check (make you wonder how secure the place actually is) and on to the passport and departure tax check (although departure tax is included in your ticket price now) and made our way to "Last Wave" for a bite to eat. Like most airport food, it's a little overpriced, but still cheaper than home, and they do brag about having beer as cold as your ex-girfriends heart. I wouldn't know if that's true, as I had a luke warm Coke Zero instead. The flight home was a little bumpy, but otherwise pretty uneventful. Even the trip through Perth airport was pretty quick this time, with the Quarantine counters fully staffed tonight, and due to the poor weather, and not many people wanting to be in the CBD tonight, most of the Uber drivers in Perth were hanging out at the airport when we walked outside, so our ride home arrived as soon as I booked it. Today was a much better day. Lori brought me some toast and juice from the restaurant for breakfast and I popped an immodium just in case. I stayed at the room for a few hours while Lori went down to Hardy's looking at DVD's, and by the time that she was back, I was feeling well enough to go for a walk. 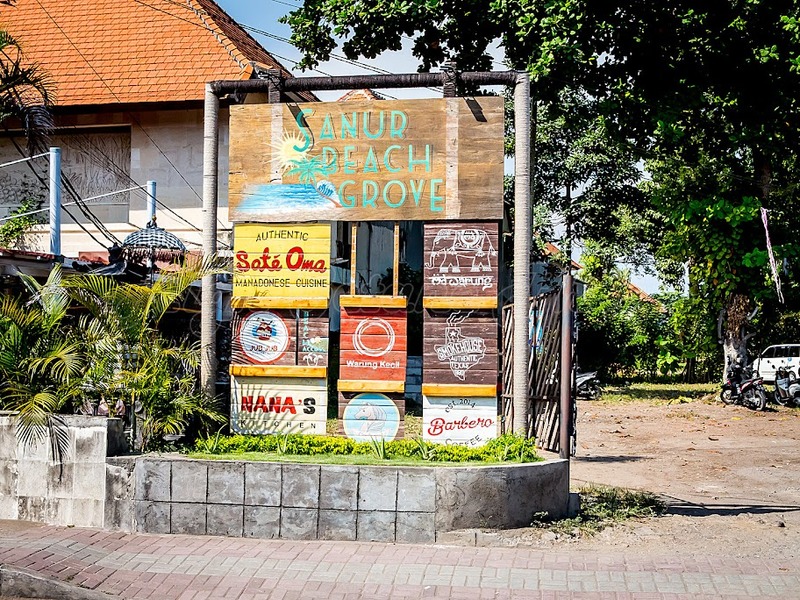 We decided to try to find the "Sanur Beach Grove", a relatively new group of food stalls on an otherwise vacant parcel of land between Jl. Danau Tamblingan and the beach. 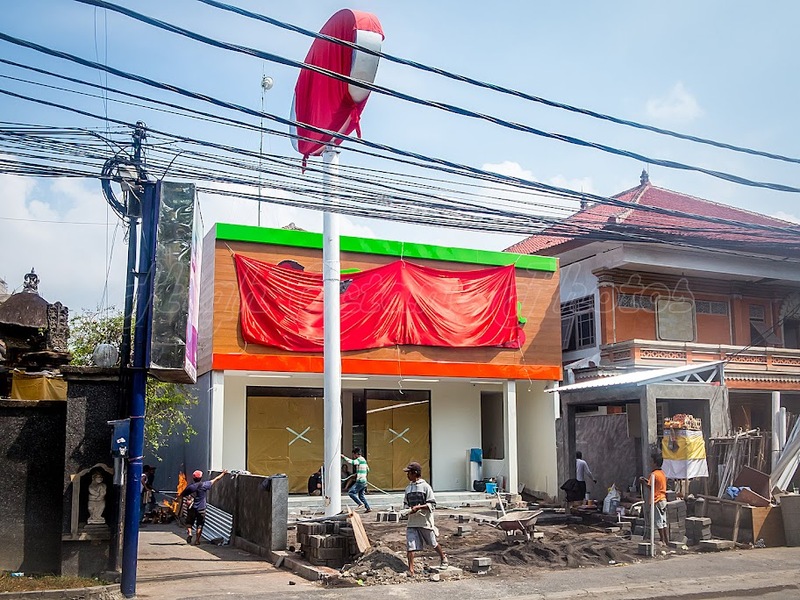 While there is a fairly large sign on Jl. Danau Tamblingan, apparently you can walk past it pretty much every day for 4 or 5 days and still miss it. According to Google Maps, we would need to walk south and turn down Jl. 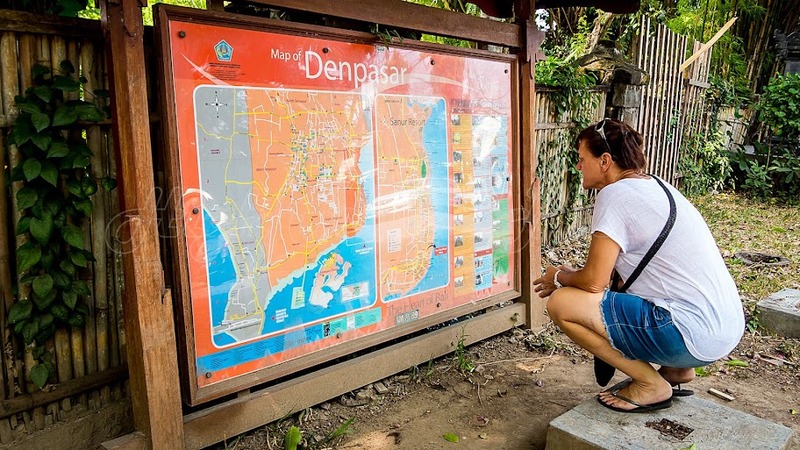 Pantai Karang, which takes you past the German Consulate and down to the beach before heading north again to the Sanur Beach Grove, which is how we got there. The way back was a lot shorter, as there is a path all the way through from the beach to the road. The beach grove didn't exist when we were here last around 12 months ago, and is still growing as more tourists and locals find out about it. 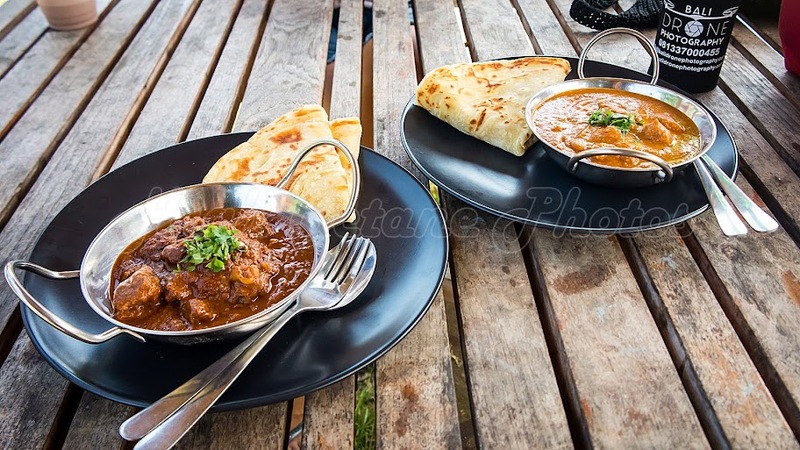 At the Sanur Beach Grove, we ordered a beef rendang and a butter chicken masala from the Indian Cuisine hut for 115k rp, and I even managed to finish a Bintang for the first time in a few days. Over lunch we had a chat with a Californian woman who now resides about as permanantly as you can, in Sanur. 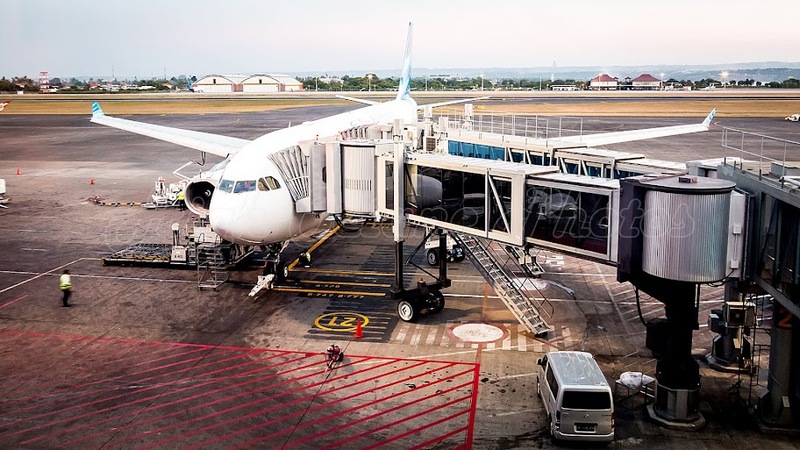 We discussed the current state of the US, politics, the cost of living in Bali versus our own countries, the ins and outs of residency and visa's in Bali and the dog situtation in Bali. Our conversation actually started over her rescued Bali stray dog, a very well cared for and well behaved young pup. After lunch we took the much shorter route back to Jl. Danau Tamblingan and the hotel through the remainder of the vacant lot where the Sanur Beach Grove stands, which functions as their carpark and access to the main road. It was then that we realised we'd been walking past the sign on the street all the time we'd been in Sanur. Back at the Swiss-Belresort Watu-Jimbar, we took a quick dip in the plunge pool before heading to the pool bar for the last couple of Crazy Loris and Uncle Phils for the trip. While there, we chatted to a young couple from Croatia and a whole bunch of Aussies, including a few from the Bunbury and Margaret River areas of South Western Australia. 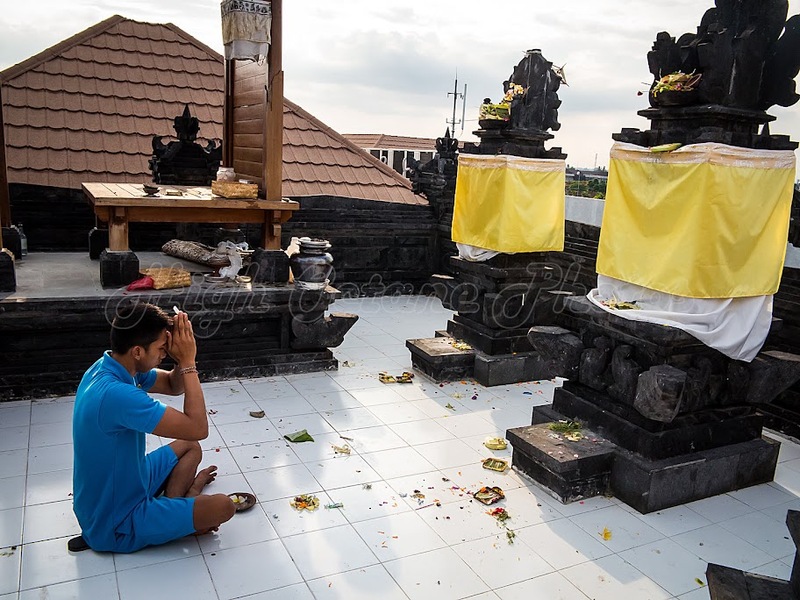 We had been quite interested in the roof top temple here at the Swiss-Belresort Watu-Jimbar for some time, and Lori asked one of the pool bar staff if she could go up there with him when he went up there to pray. 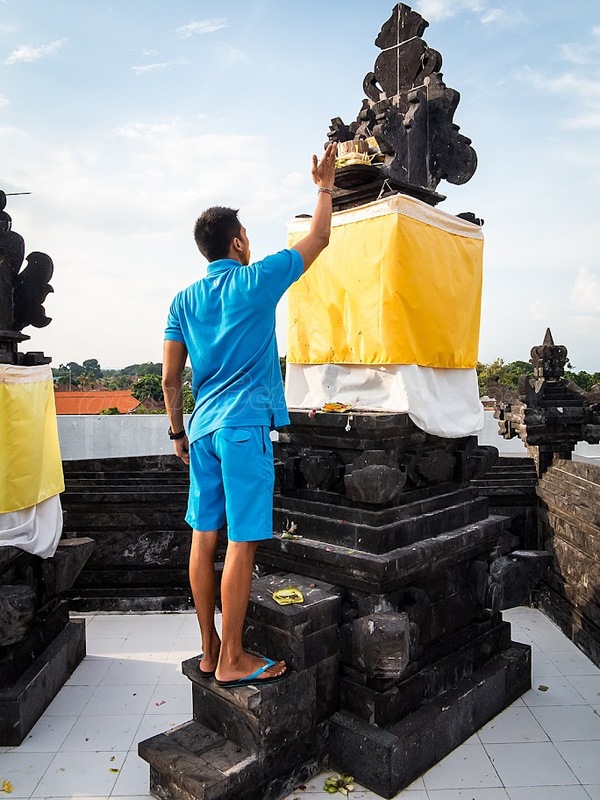 This is one of those things that, even as a very non-religous person myself, I really love about Bali. 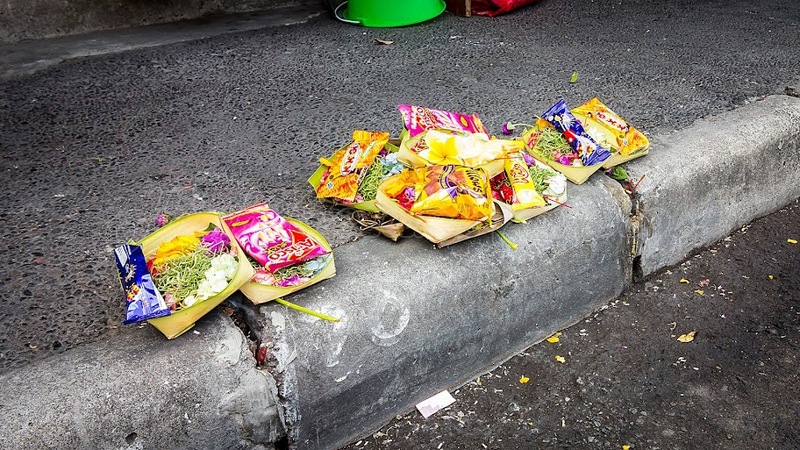 Not only are the temples absolutely beautiful, regardless of whether they're large or small, the daily routines are quite interesting, from the regular offerings to the gods outside houses and businesses to the daily prayer sessions. Before long it was time to head back to the room and get ready for dinner. Tonight we headed to one of our old haunts, 3 Monkeys. Tonight we had an avocado salad entree, followed by a lamb rack and a pork belly for the mains and, of course, pannacotta for dessert. Once again the food here was amazing and we had an amazing night. Tonights food and (non-alcoholic) drink bill came to 660k rp. 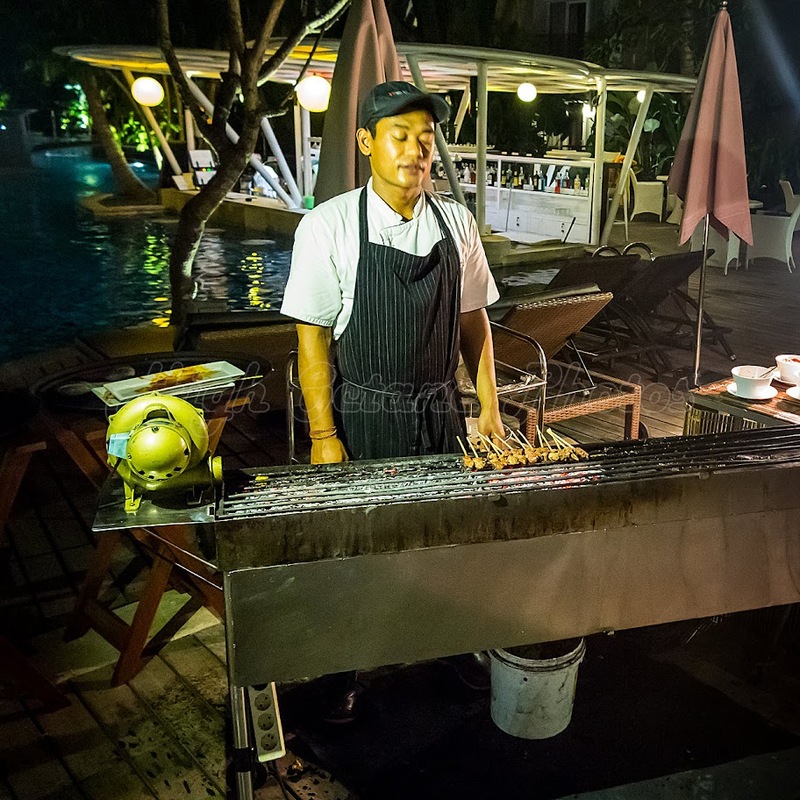 We had planned to head to Casablancas, the restaurant / nightclub between 3 Monkeys and the Swiss-Belresort Watu-Jimbar, but we were both well and truly ready for bed, so instead we headed back to the hotel where we crashed pretty early on our last night in Bali. We have most of the day here tomorrow, but need to be at the airport around 5pm. Not the best day for me today. After breakfast, I ended up mostly shifting between the toilet, shower and bed for the rest of the day. I guess something I ate last night didn't agree with me. I put it down to either the goat kebabs or the iced tea, as Lori and I shared the rest of our food. Personally, I'm leaning towards the iced tea, served in a recycled bottle that I failed to notice a decent sized crack in until it was too late. At lunch time I was feeling confident enough to head out to the pool bar for lunch with Lori, nothing alcoholic today though, just a chicken caesar salad and a lemon and ginger iced tea. After Lunch I went back to the room and stayed there until dinner. 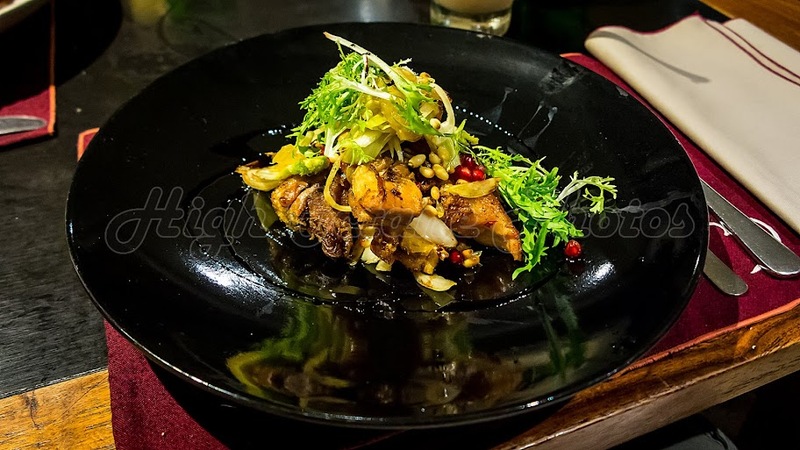 We had already booked for satay night here at the Swiss-Bel, which was only 98,800rp anyway, so Lori ate a normal meal, and I had a Balinese chicken soup that reminded me of chicken noodle soup. Lori meanwhile, had a fairly relaxing day, going and getting her nails re-done in the morning, and then in the afternoon heading to a place just north of the hotel that offered Chakra alignments and had a massage and alignment. 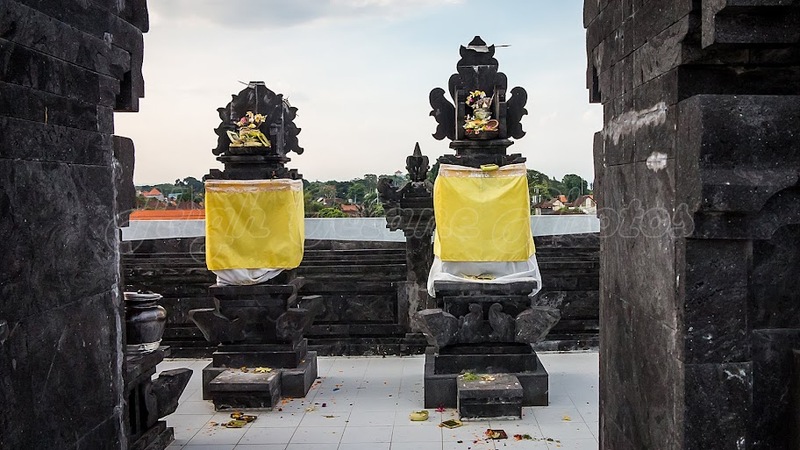 The full treatment was a 480k rp deal, but Lori swears this was the best massage she's ever had in Bali, and the Chakra alignment was something that had been interesting her since we'd first stumbled upon this shop a year ago. This morning started with our usual breakfast at the Swiss-Bel, followed by a dip in the plunge pool before heading off on one of our daily walks. 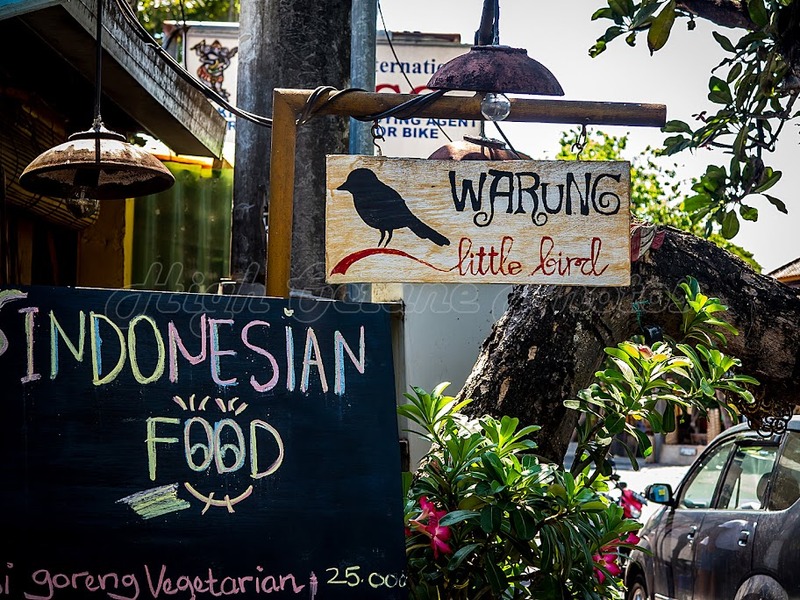 Today we headed up to Warung Little Bird, just along Jl. Danau Tamblingan. 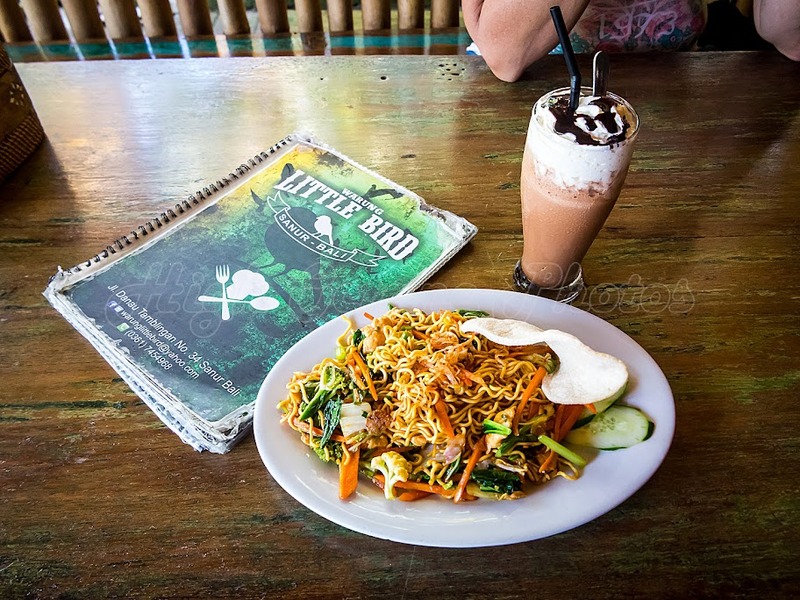 We had heard a lot about Warung Little Bird before coming here, and it certainly didn't dissapoint, with some of the best and also the cheapest food we'd had on the trip so far. Lori and I shared a plate of Mie Goreng Chicken, Cap Cay Pork and 6 Chicken Satay Skewers with rice and vegetables. Any of those selections would have been a meal in itself, but we just had to try them all. Our drinks with this meal were an iced mocha, a latte and a chocolate milkshake, and we got change from 200k rp. The food here was amazing, and during the day it was a nice relaxed place to hangout. We walked past on the way home around 9pm though, and the place was pumping. Packed to the rafters, the food and drinks were flowing and the house band was keeping the crowd entertained. From Warung Little Bird, we walked further along Jl. Danau Tamblingan, which of course meant we stopped at every silver shop along the way. We also stopped in at the Bali Animal Welfare Association's shop. BAWA work to better the lives of animals in Bali, with a particular focus on the stray dogs of Bali. Their programs include sterilisation and rabies vaccination programs for the stray dogs of the island. 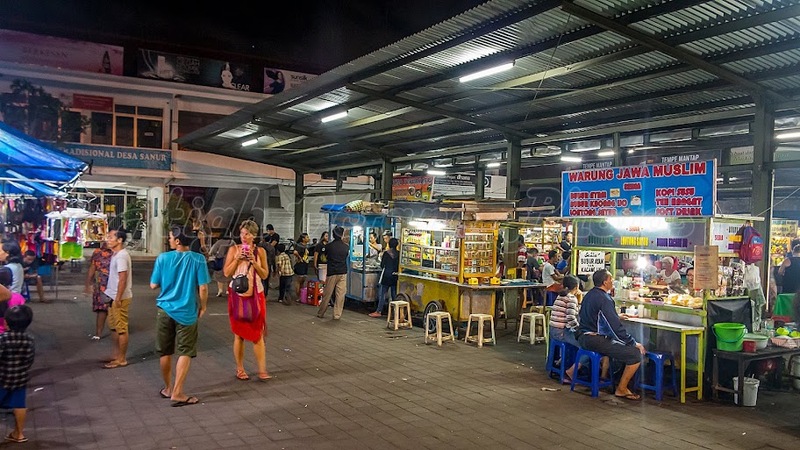 We then walked on past the Pasar Sindhu Night Markets and made our way out onto "the bypass", Jl. Bypass Ngurah Rai, one of the busiest roads in Bali. We then headed south along the bypass, and heading back towards the beach opposite the Griya Sanur. Along the way we stopped in to a local supermarket called Boca's, which reminded me of an IGA back home. For most of their products, they were also a lot cheaper than Hardy's on Jl. Danau Tamblingan. Not far from here, I had to duck into a service station, and found out the hard way, how to use the 'hygiene hose'. 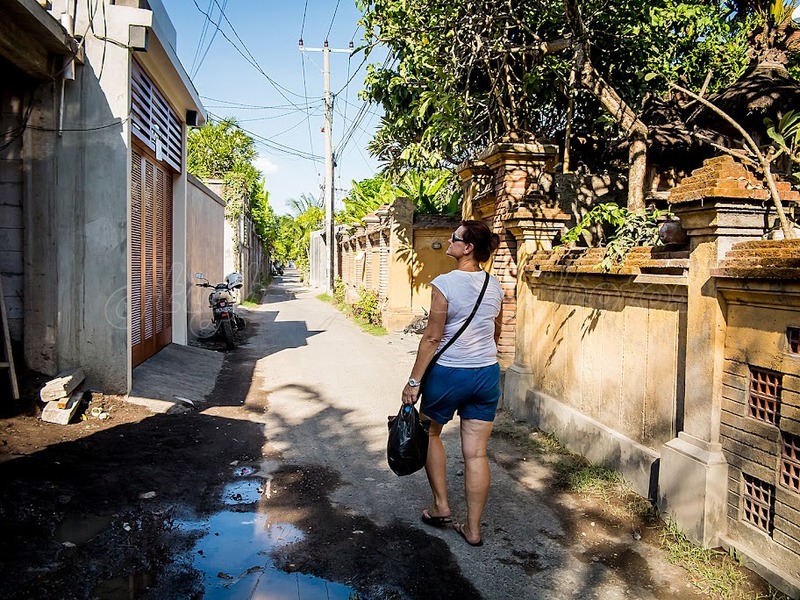 We explored a few of Sanur's back streets on the way back to the hotel, where we made our way to the back entrance, at the restaurant deck, and thankfully the restaurant staff recognised us and let us in. A quick change into our bathers, and it was time to visit the pool bar again before heading out to dinner. Tonight we took a walk down to the Pasar Sindhu Night Markets, at the northern end of Jl. Danau Tamblingan. 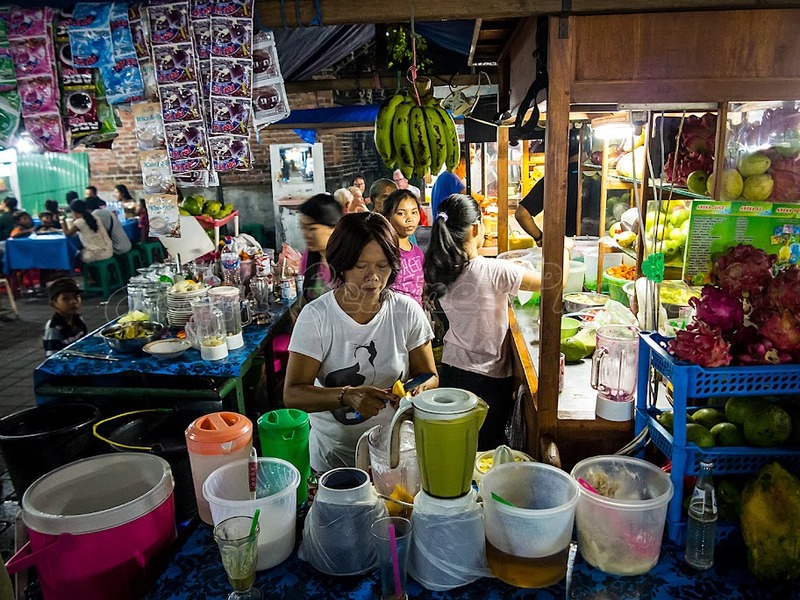 These markets are fairly small, but also quite busy, with half the square set aside for a clothing market, while the remainder of the square formed a vibrant food market filled with small carts. 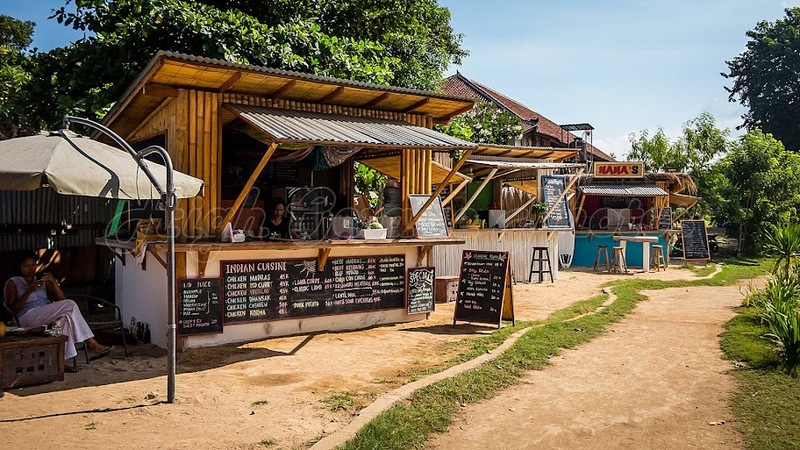 Here we had chicken and goat satay skewers, smoothies with durian and mango, a chicken martabak and a sweet pancake about an inch thick, filled with all sorts of dessert goodness. A bottle of sweat tea and a couple of bottles of water completed the meal, all for around 120k rp, or approximately A$12. 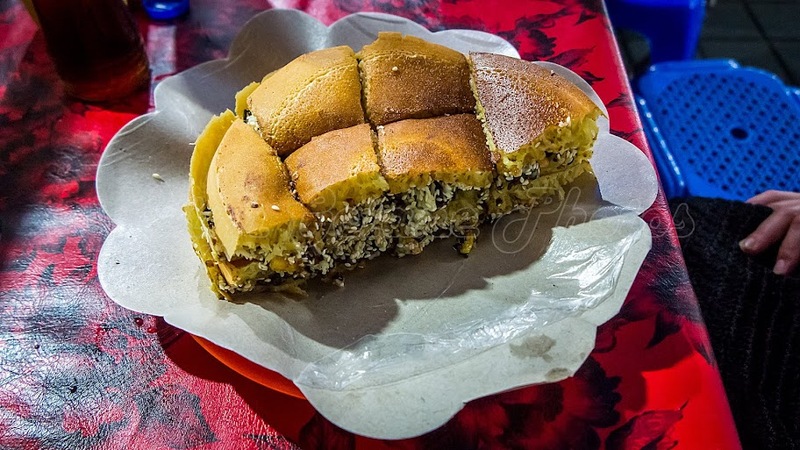 The martabak in particular was worth more than the whole nights bill, just to see it made. Mind you, something from tonights dinner would come back to haunt me, but that's a story for another post. After dinner, we walked back down Jl. Danau Tamblingan, past the now pumping Warung Little Bird and back to the Swiss-Belresort Watu-Jimbar, had a few gin and tonics in the room and then fell asleep happy and fill of food. 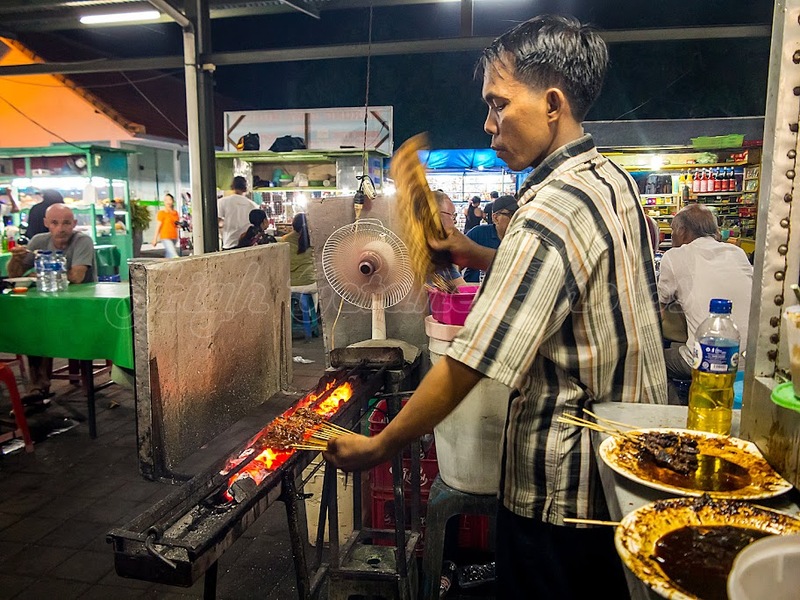 Make sure you check out the video of the guy making the martabak below.